For centuries, people have been enhancing their beauty by using makeup to accentuate features and add symmetry and balance to the face. Today, we have access to permanent makeup techniques that allow us to look our best without the chore of having to put removable makeup on every day. The permanent appearance of a fuller, thicker lash line, perfectly shaped and filled in brows, and shapely lined lips are now possible with just a few office visits. Permanent cosmetic makeup is used to enhance facial features in the same way that regular makeup does, but with cosmetic tattooing, known as “micropigmentation.” Micropigmentation uses a small needle to deposit tiny implants of pigment precisely into the upper layers of the skin for subtle, natural looking results. Through this method, an individual can attain perfectly enhanced eyeliner, eyebrows, lashes, or lip liner or color permanently. Before the procedure, a professional will help to assess an individual’s skin tone and color to produce the best results. Immediately after the pigmentation is applied, the color will look dark and shiny, and the surrounding tissue will be red and inflamed. Applying cold compresses will keep the swelling to a minimum and help the skin return to its normal state as quickly as possible. Recovery time varies for each person, based on the application location and the individual’s skin type. In the weeks following the procedure, strict sun avoidance is necessary to prevent significant color changes. It will typically take the color approximately three weeks after the procedure to fade to its permanent shade. One or two follow-up appointments are usually necessary to adjust the shape, color, and density of the pigment. 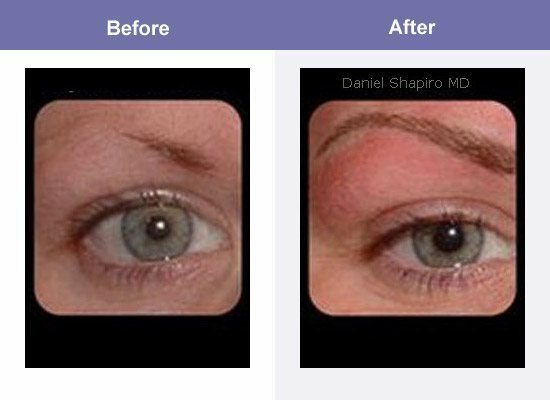 Optimal candidates for a permanent makeup procedure are those who meet the minimum age requirement and who can heal properly from the procedure. From people who desire natural looking cosmetic enhancements to those who have difficulty using makeup due to allergies or difficulty applying it, permanent makeup is a precise, convenient, and easily manageable option. If you are ready to learn more about the beautifully subtle and natural results that are possible through permanent cosmetic makeup, call the Skin Klinic today at (480) 451-1700 to discuss which procedure will produce the perfect results for you.